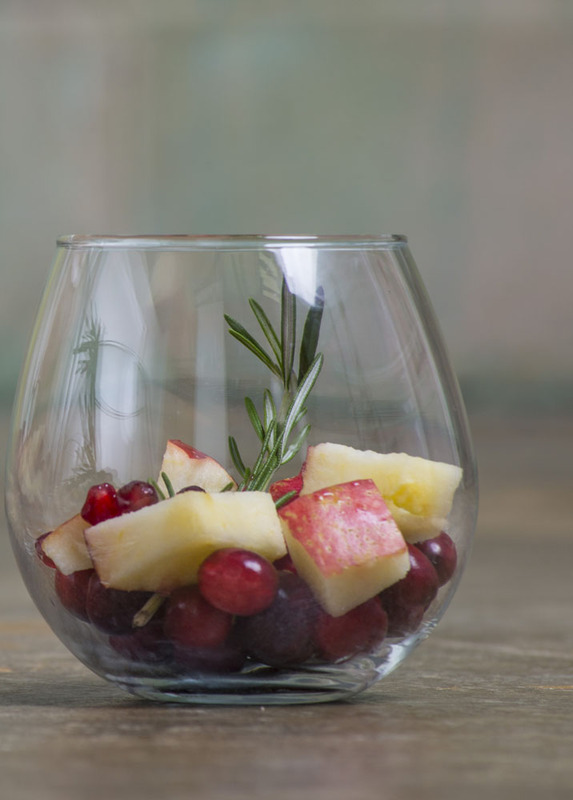 Get into the holiday spirit with this delightfully fruity spritzer! 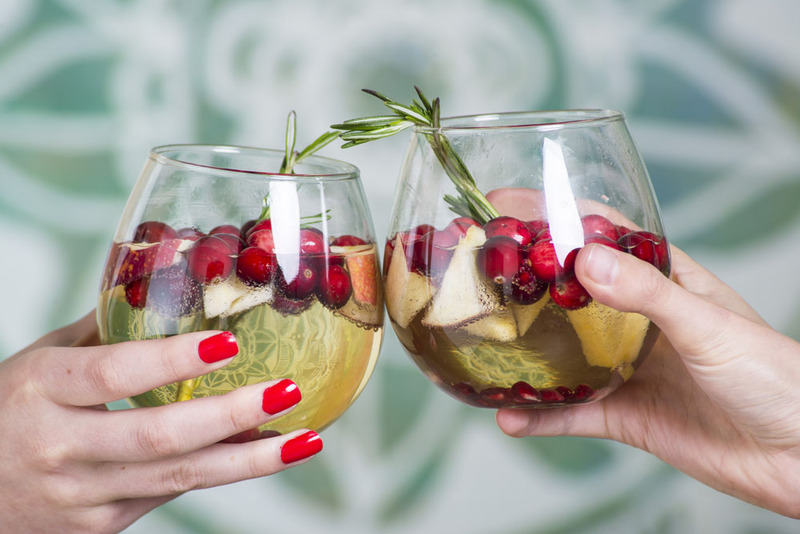 Our DIY Holiday Cocktail is one that you can make alcoholic – or not – depending on your level of holiday stress. 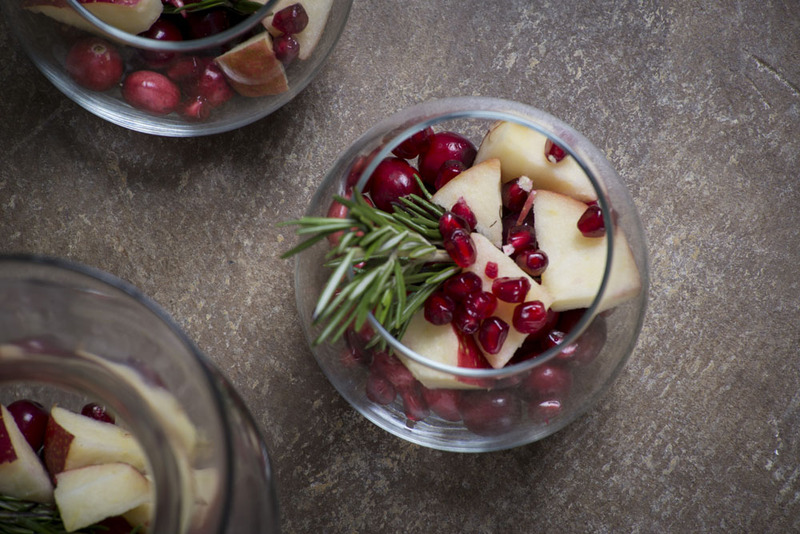 Either way, it is easy, it is pretty, and it tastes amazing! 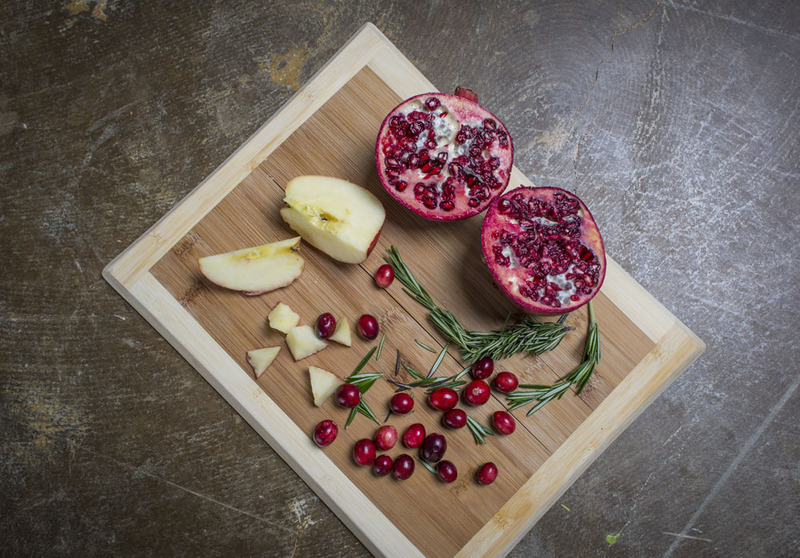 Begin by de-seeding the pomegranate, and chopping the apple into small, bite-sized pieces. 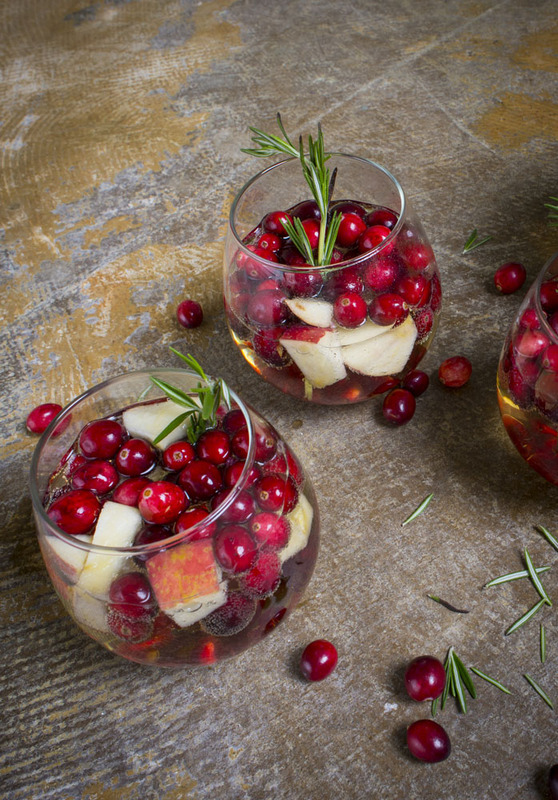 Then, fill each glass with an equal mixture of apple, cranberry, pomegranate, and a small sprig of rosemary. These are so pretty already! 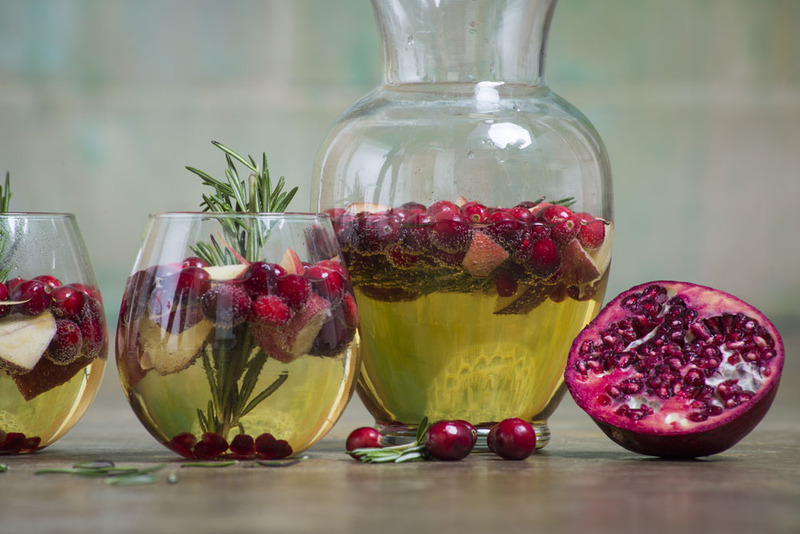 Mix all the liquids (EXCEPT THE WINE) in a punch bowl or pitcher. 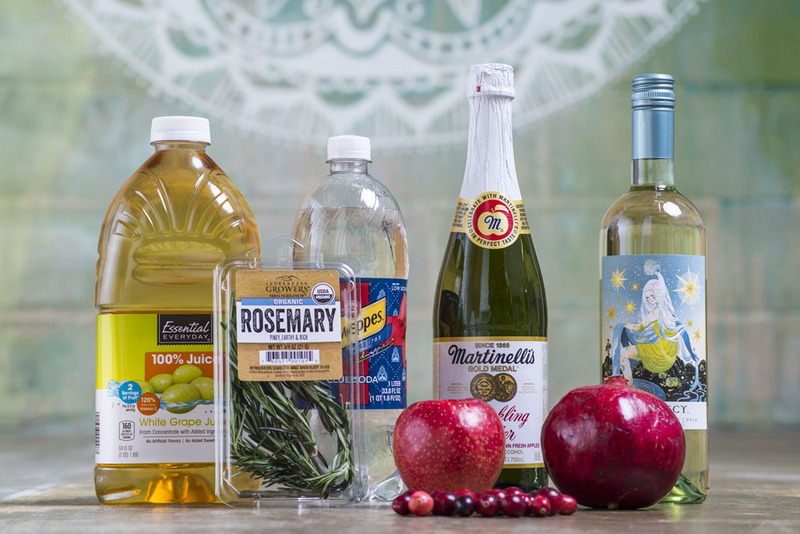 These are the ingredients for the non-alcoholic base for our festive spritzer. Then, if you like, you can individually pour wine into some of the glasses before adding the base. 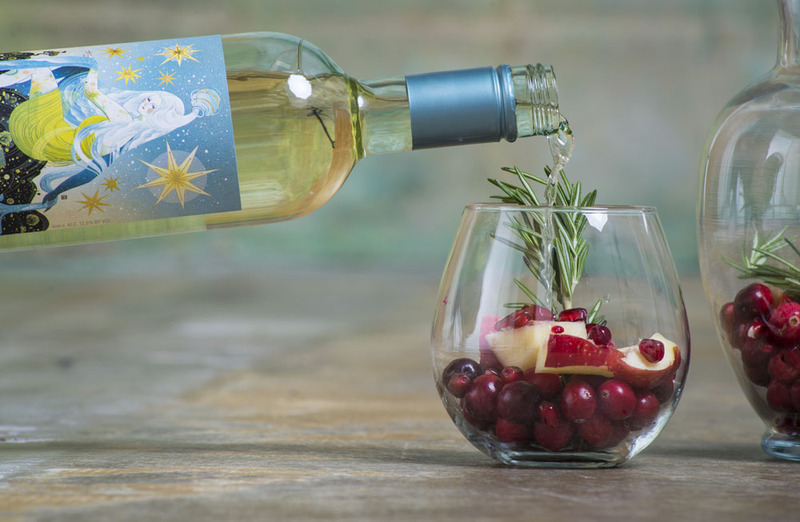 Top off each glass and toast to a fun new holiday tradition – a festive spritzer!